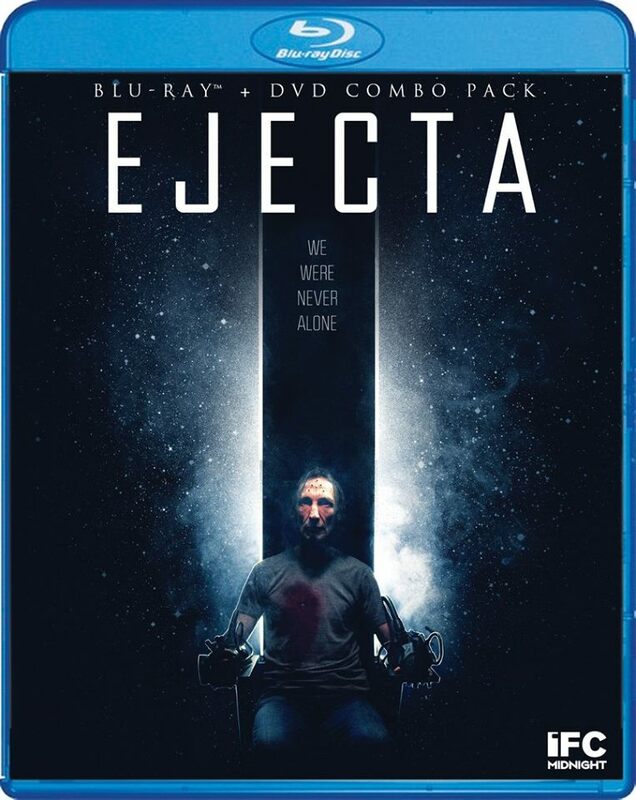 EJECTA: It Came From Found Footage – Schlockmania! Found footage is as tricky as it is tempting for genre filmmakers. It’s true that shooting such a film often makes the technical side of filmmaking cheaper and easier, particularly in the staging of special effects. That said, creating the illusion of reality is a huge challenge for a narrative filmmaker and there have been enough found footage films that audiences have internalized the tropes and short-cuts that have become all too familiar in the glut of post-Blair Witch Project found footage films. Ejecta tries to split the difference between found footage and conventional narrative filmmaking via a cleverly-structured plot from Pontypool author Tony Burgess. It begins with William Cassidy (Julian Richings) being apprehended by a squad of soldiers under the command of Dr. Tobin (Lisa Houle). Tobin wants to interrogate him about a potential alien invasion and is determined to do whatever to get that information. Flashbacks shown via found footage illustrate how he got in this predicament: he’s an alien-visitation survivor who invites internet documentarian Joe Sullivan (Adam Seybold) to his home. The visit occurs shortly before a major astrological event that threatens to disrupt all power and computer systems – and soon they find themselves bedeviled by an unseen attacking force in the night that just might be Joe’s old interstellar friends. Ejecta is an odd, stop-start mix of the inspired and the familiar. 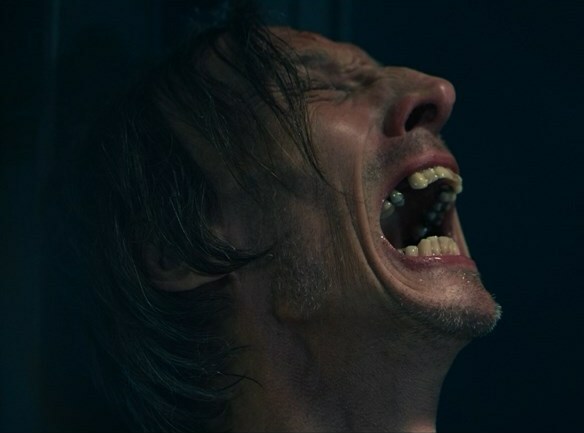 On the plus side, you’ve got a viscerally emotional, Method-style lead performance from Richings that sells the viewer on his character’s torment and fragile mental state. His total commitment to the role keeps the movie grounded throughout. Also, the clever story structure that mixes up the plot progression in a way that keeps the viewer off-balance by wondering what particular plot info will be revealed at what time. On the do wnside, the human villains are totally generic in concept, with Houle giving a distractingly campy and theatrical performance, and the found-footage portions get tiresome because they rely heavily on the Blair Witch playbook (get ready for a lot of P.O.V. running through the woods and cursing in darkness). That said, the biggest problem with Ejecta is that the third act won’t surprise anyone who has ever watched a few episodes of The X-Files. Burgess tarts it up with some appealingly weird philosophizing from the title character but that doesn’t change how familiar all the final plot reveals are. Ejecta has been compared by some critics to a smarter upgrade on the SyFy Original T.V. movie formula and that’s a pretty spot-on assessment, though this film is less reliant on cheap CGI effects and much more stylish in how they are used. Directors Chad Archibald and Matt Wiele show a likeable amount of discipline and effectively set a grim tone but the film ultimately reveals itself to be U.F.O. paranoia-by-numbers saddled with familiar found footage trickery. Blu-Ray Notes: Scream Factory just released this title in a blu-ray/DVD combo pack. The blu-ray was watched for this review: the transfer does a nice job with the mostly shot-at-night digital cinematography. Both 5.1 and 2.0 stereo tracks are included: the 5.1 gives a real boost to the setpieces. The one extra on this set is a trailer.